Yaya Toure's second-half goal earned Manchester City a hard-fought 1-0 win over Stoke City at the Etihad Stadium. The home side looked to be heading for a frustrating day until 20 minutes from time when Toure popped up with what could be a crucial goal in the Premier League title race. Edin Dzeko missed a sitter to make the game safe with Charlie Adam having Stoke's best effort, only to be denied by Joe Hart. 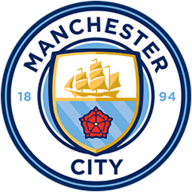 After a quiet start Manchester City created their first chance on seven minutes when Fernandinho fired in a swerving shot which Asmir Begovic was forced to tip over the crossbar. A minute later Stoke went up the other end of the pitch and Adam flashed one wide of the far post after being teed up on the edge of the box by Jon Walters. Stoke went close to scoring on 21 minutes when Marko Arnautovic found Adam on the edge of the box and he fired in an effort which Hart did well to tip round the post. 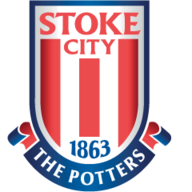 Stoke were restricting the home side to long-range efforts with Samir Nasri seeing one shot deflected over before Alavaro Negredo curled his effort wide of the target. Dzeko had Manchester Cty's best chance of the first half on the stroke of half-time when he swapped passes with Negredo on the edge of the box and curled his effort just inches wide of the post. The home side started on the front foot at the start of the second half and Dzeko should have done better on 48 minutes when he blazed over the top after being picked out by Silva inside the box. Manuel Pellegrini brought on Stevan Jovetic for Alvaro Negredo 10 minutes into the second half and the substitute went close to scoring on 66 minutes when he fired in a shot which Begovic fumbled, but was able to collect at the second attempt with no City player on hand to snap up the rebound. Jovetic was then forced off soon after after appearing to pick up a leg injury and he was replaced by Jesus Navas. Manchester City broke the deadlock 20 minutes from time when Toure arrived in the box to slot home Aleksandar Kolarov's drilled cross into the box much to the relief of the home fans. The home side really should have doubled their lead three minutes later when Navas picked out Dzeko unmarked in front of goal, but the Bosnian somehow fluffed his kick and the chance went begging. Stoke struggled to fashion a chance to score an equaliser in the closing stages as Manchester City held on to take all three points and keep pace with leaders Chelsea.